Step 1: Like we did in the last article, you will want to make sure your Kindle allows installation of unknown Apps. To do this, head to the top and swipe down. After that, tap on the the sprocket to get to the Settings page. Now tap on the Security option. You will see a warning window and as in the previous article, proceed at your own risk. Once here, you will see the switch to allow installation of unknown Apps. Tap it. Done. 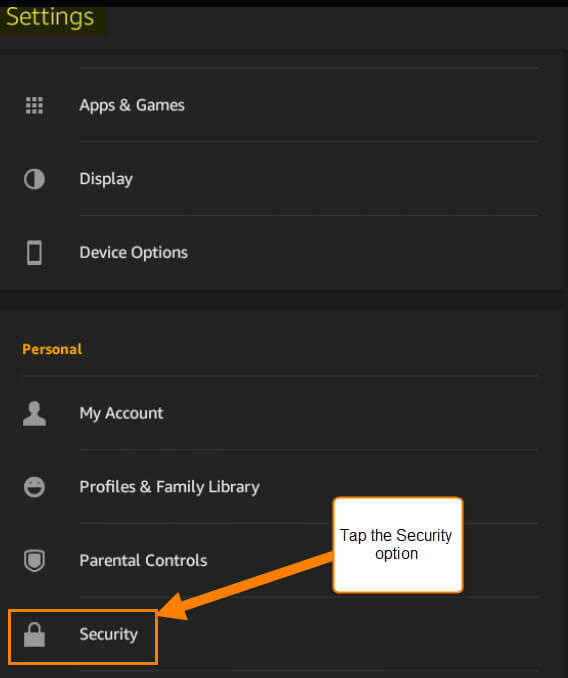 Step 2: To have Google Play connect to your game on the Kindle Fire you will need to download the Android Package Kit (APK) files to get your Google account connected. Make sure to download them in this order; it will make it easier when installing them. 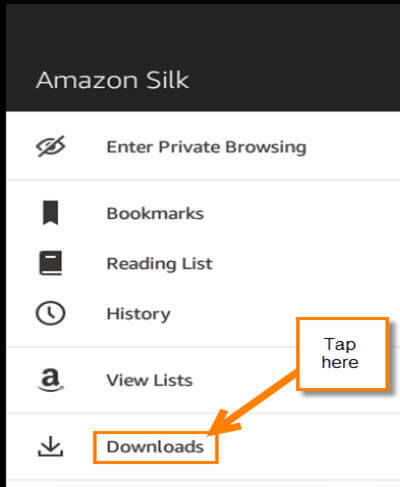 You will want to follow this process on your Kindle Fire, not your PC. This will make sure the program works properly. The files for each of these should be on your pull-down list. Swipe down from the top of your device to see the menu. Tap the files you need to install. Or, you can look up to the left side of your Silk browser (web browser) and tap on the three horizontal lines. From this menu, tap on Downloads. On the next screen you will see all the downloaded files. The files should go from bottom to top for installation purposes. 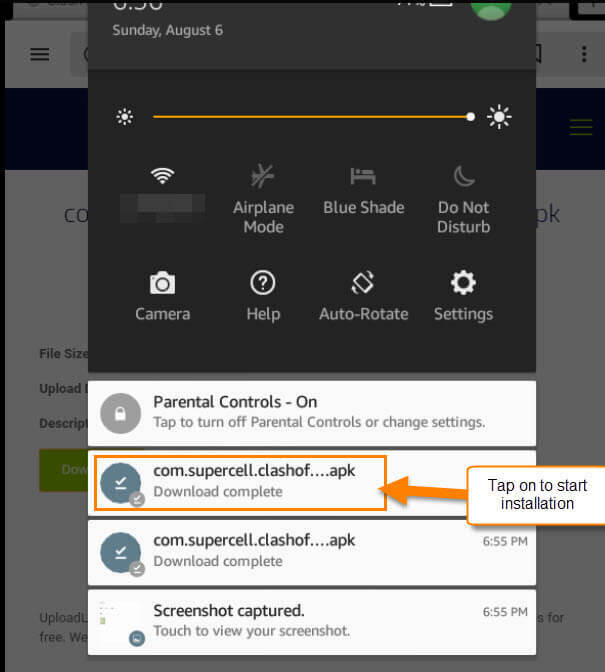 After each install, make sure to tap Done, not Open. Google Play is now installed. The Google Play icon should be on your Kindle Home Page. Now, tap the icon and sign into your account to start using it. You can download Google Games and play them. There is something that I’m forgetting… that is right, we need to show you how to connect our favorite game, Clash of Clans. The next steps will help you with this task. Step 1. After you have finished the installs you will need to head to your home screen. Since we installed Google Play for the game, Clash of Clans, we will want to tap on that icon. 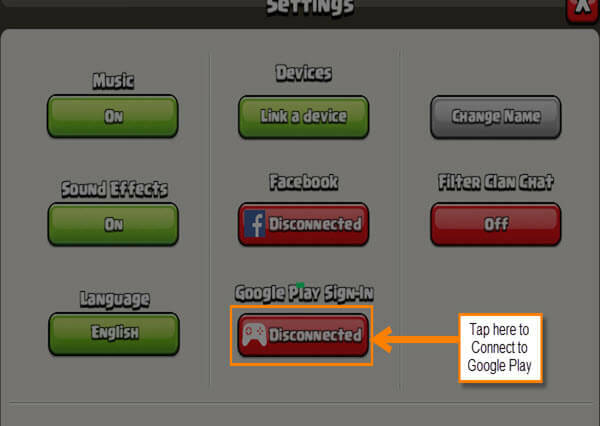 Once the game opens, you will have to go through the tutorial before you can connect your Google Account to your game. Side Note: You might see this screen telling you to update to the latest version of Google Play. 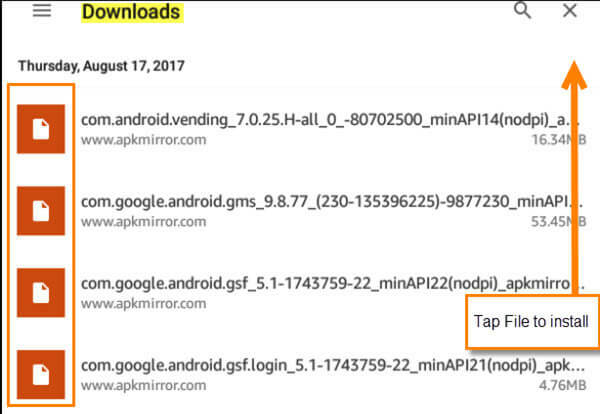 Tap install (this might show up later but whenever it shows up, tap install) This will take you to the Google Play store to download the update. Step 2: Once your tutorial is finished, it is time to connect the game to your Google Play Account. You will need to head over to the right and tap the Gears icon. Step 3: It will now show a screen with the Google Play sign in. Tap the red button and follow the directions. 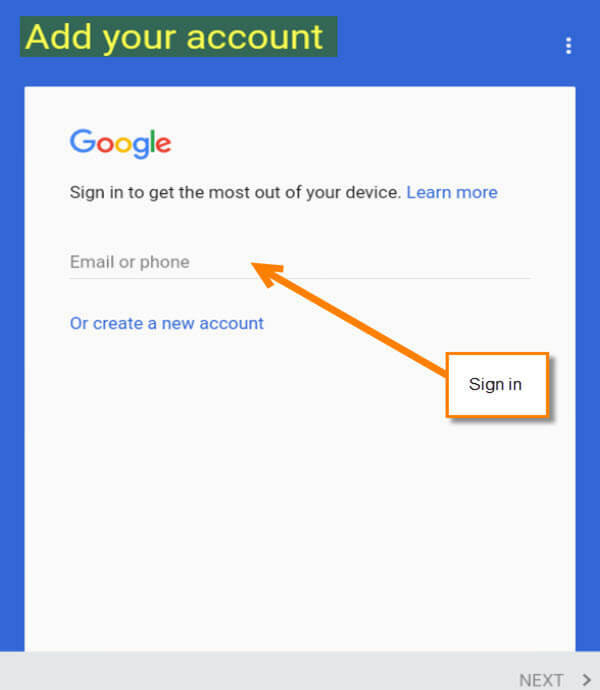 This should now ask you to sign in to your Google Account, unless you have already signed in when you first installed the Google play APK files. Then you will move on to the last step. Step 4: The final step is real easy. After you sign in to your Google account, you should now see the Load Village Screen. Tap Load. 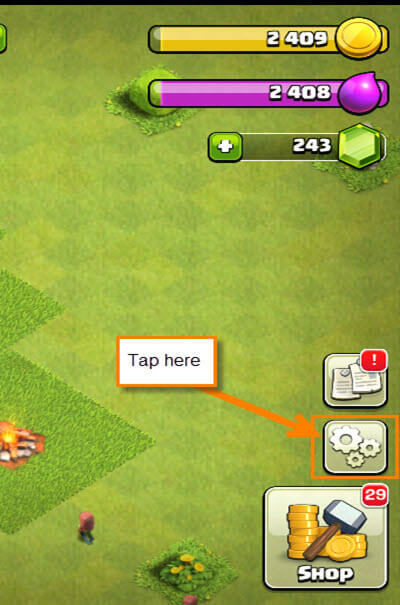 If you had to install the updated version, then head back to Clash of Clans afterwards and Tap the Connect button again like in Step 3. Now you are all set! Your village is back and it is time to continue the fun. What Google Play game do you like to play? Great article. As a long time Kindle owner (8 all totaled) I have always side loaded. I just did a comparison and it is much faster to side load. However, my preference does not diminish your method. 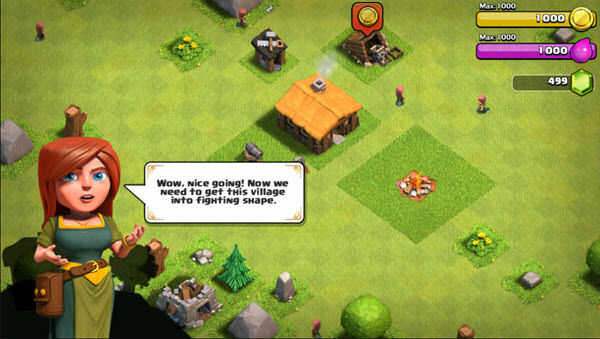 I’ve just followed your instructions for downloading clash of clans, all great thanks! Do you now know who to move it on to the kids profile on kindle 8?